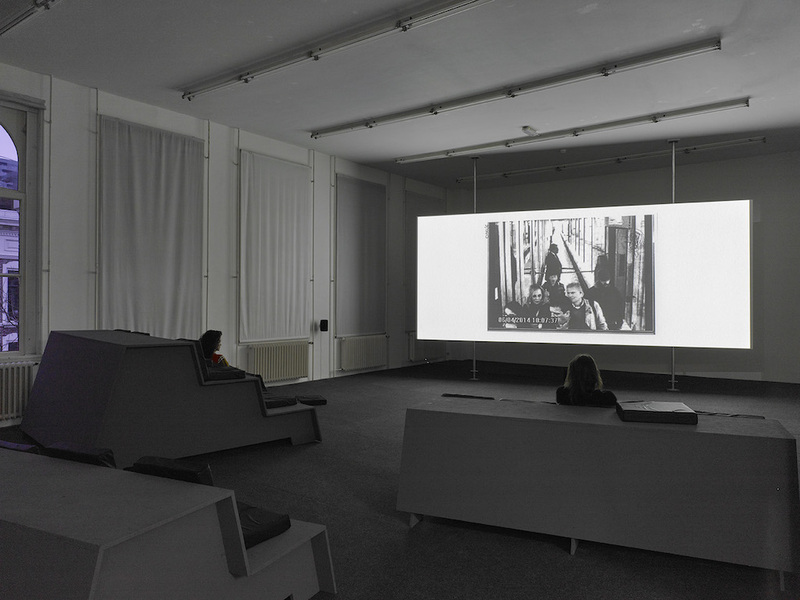 After walking past an old transistor radio, with Orson Welles’s voice announcing an attack on the United States by extra-terrestrials being regularly interrupted by the fictitious music group Ramón Raquello and his Orchestra, it is with the film Sugar Water, made in 2007, that Eric Baudelaire’s show at the Witte de With opens. An opening which, in many respects, resembles a discreet punctuation as much as an exhibit. The film is screened on a small monitor placed on the reception desk on the second floor. An invitation to watch the film in fragments. 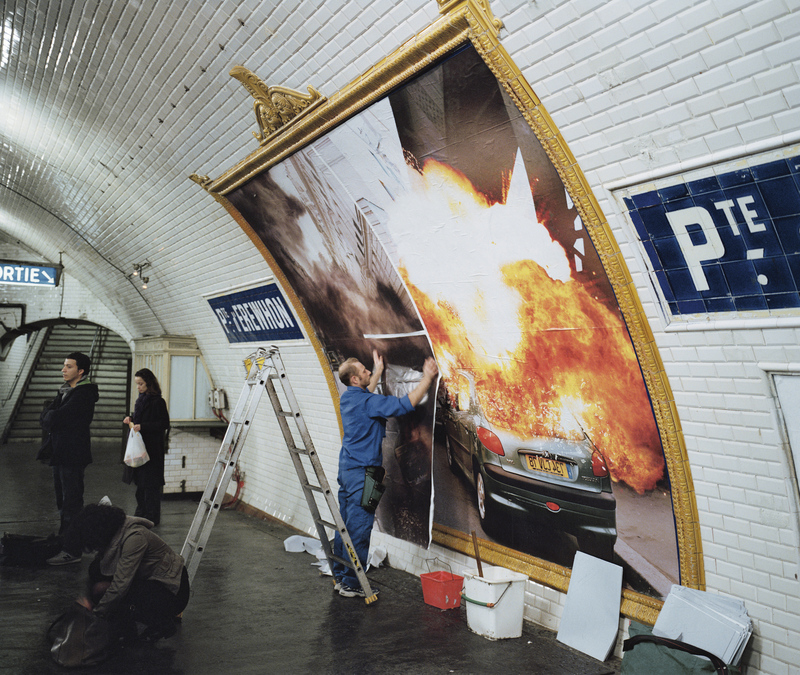 The fact is that, in a long sequence shot, Sugar Water represents precisely a fragmented scene: in an imaginary Paris metro station, a bill-poster affixes to the wall a first image which he then covers with a second, a third, and finally a fourth, to represent four stages of the explosion of a car; otherwise put, four frozen split-seconds of an action in continuous motion. Invariably linked, time and fragmentation run through the exhibition with each step the visitor takes. To draw him where? This is where Eric Baudelaire’s approach calls for an overall eye. What do we have before our eyes? Films, photos, texts, archives, and signs which answer each other and steal away from us. And Baudelaire becomes a new Chevalier Dupin alongside whom, like Edgar Allan Poe’s narrator, we let ourselves be guided in order to grasp the enigmas and traps of an investigation that has become an exhibition. Unless it is the other way round. With Eric Baudelaire, something seen invariably suggests another thing. So the double projection of slides titled Déplacement de site involves images that are at once near and far. 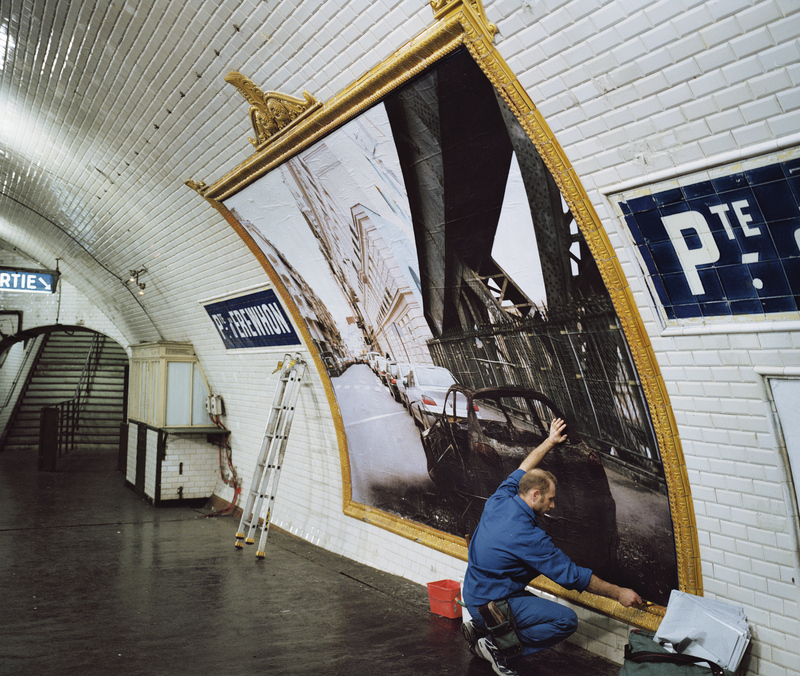 The artist responded in his own way to a commission by the city of Clermont-Ferrand, Michelin’s realm, by asking an Indian photographer to produce, in India —a country where the tyre manufacturer has relocated to— some photographs which resemble as closely as possible a series he produced earlier in the Auvergne city. In other words, a dialogue created between two territories and two time-frames in a deceptive mirror effect. Dialogues are once again involved in the body of work titled The Anabasis of May and Fusako Shigenobu, Masao Adachi, and 27 Years without Images. 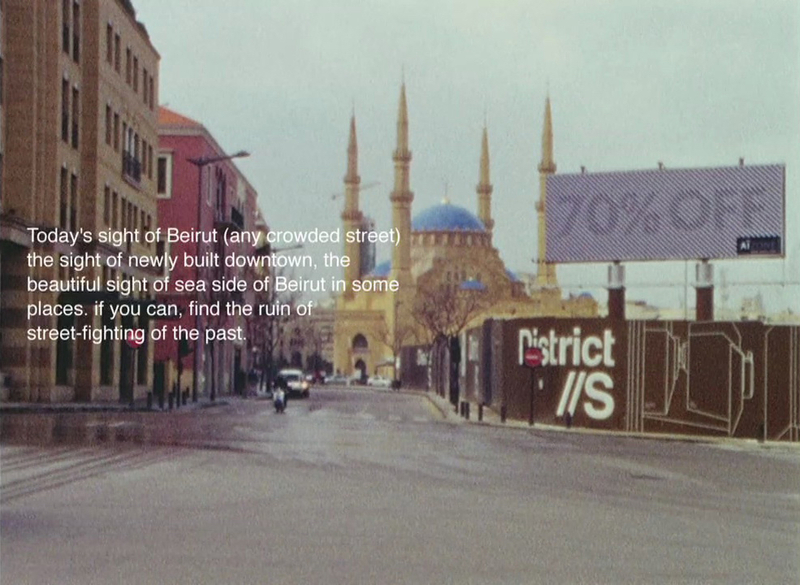 This is a wander between past and present, Beirut and Tokyo, Masao Adachi, an activist film-maker, and May Shigenobu, whose mother, Fusako, was involved in the revolutionary cause. A wander in different registers of imagery, produced with a super-8 film intermingling images of Beirut and Tokyo, and overlapping portraits of the people mentioned in the title, slides reproducing Masao Adachi’s drawings when he was a prisoner in Beirut, an excerpt from his film AKA Serial Killer, and black monochromatic photos. A wander which the first word of the title already invites us to make, in memory of those lost mercenaries keen to get back home, whose tale was told by Xenophon, later inspiring Saint-John Perse and Paul Celan, and in which, more recently, Alain Badiou read the symptoms of our day and age in quest of meaning.